Where or how should I install this part? Thanks, works great. Now if I can only find one for rap.genius.com I'll have all the best lyric databases! Damn! I registered and I just want to say thank you! Epic Win!!!! \m/!!!! Hi. I've installed foo_lrc_metalarchives v0.2. And it seems like it does not work at all... It can't find not a single lyrics. Actually for me it does work in foo_uie_lyrics3 v0.4.5, but does not work in v0.5 (latest). 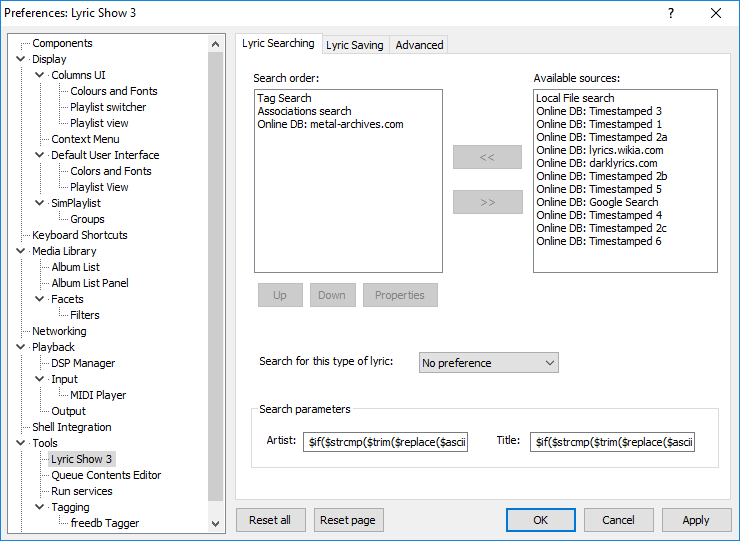 Details: it seems, method lyric_http_request::do_get_request from foo_uie_lyrics3 SDK does not work in 0.5. Note, if one would need to run it under XP, www.metal-archives.com needs to be added to Advanced -> Networking -> Suppress HTTPS certificate checks. 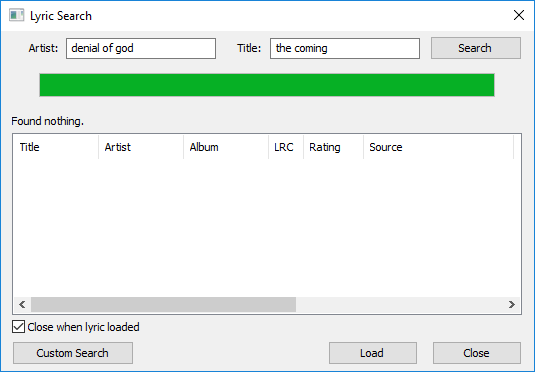 3dyd: THANK YOU for this component, v0.3 installed and working just fine on Foobar 1.4 with foo_uie_lyrics3 v0.5! Please keep us informed of any updates.